The Yankees have traded Jake Cave to the Twins for minor league right-hander Luis Gil, the team announced. Cave was designated for assignment to clear a 40-man roster spot for Neil Walker earlier this week. Twins executive Derek Falvey told Phil Miller they originally asked about Cave during Jaime Garcia trade talks last year. 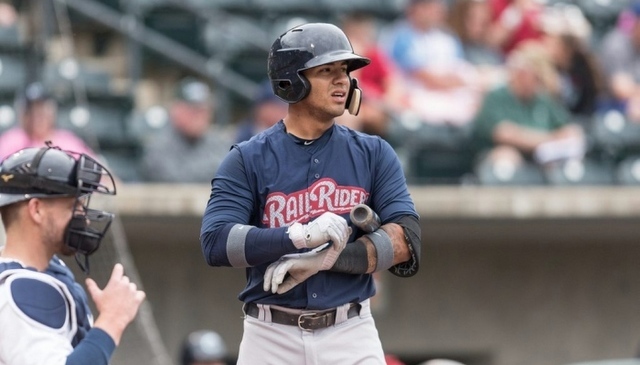 Cave, 25, hit .305/.351/.542 (145 wRC+) with 20 home runs in 437 plate appearances between Double-A and Triple-A last season. He started selling out for power last year — his previous career high was eight home runs — after his old slash-and-dash approach wasn’t getting him anywhere. I ranked Cave as the 23rd best prospect in the system a few weeks ago. The 19-year-old Gil does not rank among Minnesota’s top 30 prospects, according to MLB.com. He spent last season in the Dominican Summer League, throwing 41.2 innings with a 2.59 ERA (3.34 FIP). This is similar to the Nick Rumbelow trade. The Yankees got Juan Then, another DSL pitcher, in that deal. They’re trying to get a young prospect before he really breaks out. The Yankees are quite deep in outfielders, even with Jacoby Ellsbury (oblique) and Clint Frazier (concussion) sidelined. Billy McKinney is Triple-A depth and of course the Yankees have Brett Gardner, Aaron Judge, Aaron Hicks, and Giancarlo Stanton at the MLB level. Cave was the odd man out. 5:17pm ET: The Yankees have announced the signing. Walker gets $4M guaranteed plus another $125,000 each for 450, 475, 500, and 525 plate appearances. That works out $4.5M total. Man. Bryan Hoch says Walker is already in the clubhouse. He participated in MLBPA’s free agent camp and should be ready to jump into games soon. Jake Cave has been designated for assignment to clear a 40-man roster spot. 11:42am ET: As it turns out, the Yankees were not comfortable going into the 2018 season with two rookie infielders. Or even one rookie infielder, for that matter. 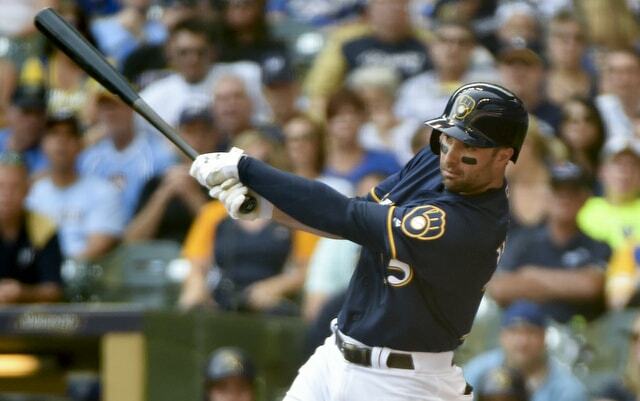 According to Jeff Passan, the Yankees have agreed to a contract with free agent infielder Neil Walker. Jon Heyman says it’s a one-year deal worth about $5M. Walker will presumably step right into the open second base job. The Yankees and Walker discussed a deal prior to the Brandon Drury trade, and apparently the Yankees never fully closed the door. They have roughly $22M to spend under the luxury tax threshold, so Walker fits the payroll nicely. He’s a quality player and the Yankees just upgraded a position that was set to be a revolving door, and they did it without busting their luxury tax plan. There are still plenty of dollars to be spent. Walker, 32, hit .265/.362/.439 (114 wRC+) with 14 homers and strong strikeout (17.2%) and walk (12.3%) rates in 2017. He has been primarily a second baseman in his career, though he played some first and third last year. When it was reported the two sides were discussing a deal a week or two ago, Walker said he was open to moving around the infield and playing wherever, so there you go. 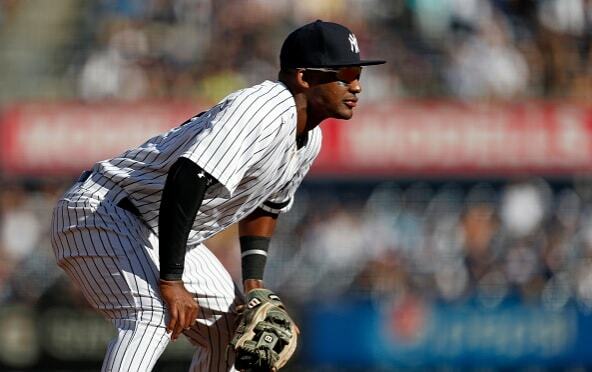 With Drury and Walker aboard, it all but guaranteed Miguel Andujar and Gleyber Torres will begin the season with Triple-A Scranton. Tyler Wade could end up with the RailRiders as well, though his versatility could land him on the bench. Now that Walker is around to back up first base, the Yankees don’t need Tyler Austin or Adam Lind on the roster, clearing the way for Wade to be a super utility guy, if the Yankees want. The Yankees were poised to wait out the market and sign a bargain free agent late in the offseason, and that is exactly what happened with Walker. Getting him for one year and $5M is insane. They still have enough money to add a pitcher as well, though Alex Cobb might be too pricey at this point, assuming Lance Lynn’s one-year, $12M deal with the Twins sets his market. We’ll see. With Spring Training well underway and Opening Day inching closer and closer, the Yankees have started signing their pre-arbitration-eligible players to one-year contracts for the 2018 season. Brandon Drury 2.034 $621,900 ? All pre-arb players sign split contracts that pay them one salary in the big leagues and another salary in the minors. And just to be clear, these 15 players will not become free agents after the season just because they signed a one-year contract. They remain under team control until they have six full years of service time. These players now have a contract in place for 2018. They’ll do this all again next year. Like most teams, the Yankees are said to have a sliding salary scale based on service time for pre-arb players, with escalators for All-Star Games and awards finishes, things like that. Also, these contracts are not guaranteed, so the Yankees could release any of these guys before Opening Day and only have to pay them either 30 days or 45 days of termination pay, depending on the timing of the release. I don’t expect that to happen with anyone. I’m just saying. The Yankees still have ten unsigned pre-arb players: Albert Abreu, Domingo Acevedo, Tyler Austin, Greg Bird, Kyle Higashioka, Jonathan Holder, Aaron Judge, Billy McKinney, Jordan Montgomery, and Luis Severino. I imagine Abreu, Acevedo, and McKinney will get the same $545,000/$44,500 deal as Torres, Estrada, and Loaisiga since they all have zero MLB experience and no more than one year of Triple-A time. Austin, Higashioka, and Holder will probably fall somewhere in the Cessa-Gallegos-Cave range as guys with big league service time and multiple years at Triple-A. Bird, Judge, Montgomery, and Severino are the major remaining pre-arb cases. Montgomery has less than one year of service time, so I think he falls in the $565,000 range. Somewhere just south of Green and Cessa. Remember, these salaries are based more on service time than performance. Bird has more than two years of service time (2.053 to be exact) but he’s missed so much time with injury that he’s only played 94 big league games. I wonder if the injuries will prevent him from cracking $600,000. Otherwise Drury/Torreyes money seems likely. On one hand, Judge has a Rookie of the Year and an MVP runner-up, which suggests his salary should fall somewhere between Betts and Trout. On the other hand, Judge only has a bit more than one year of service time (1.050), whereas Betts and Trout were both over two years. My guess — and this is just a guess — is Judge will come in somewhere around $750,000. Lots more than the typical pre-arb player but a notch below Trout and Betts given the one fewer year of service time. Severino finished third in the Cy Young voting last season and that will undoubtedly earn him a nice little raise this offseason. Kyle Hendricks is a potential salary comp. He finished third in the 2016 Cy Young voting and earned $760,500 with 2.081 service time in 2018. Severino is at 1.170 service time right now. Another potential comp: Jose Fernandez. He finished third in the 2013 Cy Young voting and got $635,000 with exactly one year of service time in 2014. That was back when the minimum salary was $500,000. This season the minimum is $545,000. Because he doesn’t yet have two full years of service time — Severino is at 1.170, two days short of two years, so the Yankees narrowly managed to push back his free agency when they sent him down in 2016 — I think Severino falls a bit short of Hendricks money. He might fall in the $650,000 to $700,000 range. Well below his actual worth but pretty darn good relative to other pre-arb players. It’s worth noting the Yankees can renew the contract of any pre-arb player at any salary, as long as it is not less than 80% of their previous year’s salary. The Yankees could renew Judge at the $545,000 league minimum. They (probably) won’t, but they could. Two years ago the Yankees renewed Dellin Betances at the minimum because they couldn’t agree to a contract. That was notable because it rarely happens. The Yankees have shown they will do it, which increases their leverage during contract talks, but they don’t want it to come to that. As far as the luxury tax payroll, the pre-arb salaries don’t change much. Based on our estimates the Yankees have approximately $22M to spend under the $197M threshold, though we used the $545,000 minimum for pre-arb players on the 25-man roster. Sanchez, Drury, Torreyes, and Green are the only safe bets among the 15 signed pre-arb guys to spend the entire season on the MLB roster. Their combined 2018 salaries is $2,428,600. Four players at the minimum is $2.18M. So that is $248,600 less available in luxury tax payroll. Not a big dent. Once the Yankees get their remaining pre-arb players signed, that $22M under the luxury tax threshold will be more like $21M under the threshold. Maybe $20.5M if they really take care of Judge and/or Severino. That’s still a lot of breathing room under the $197M threshold, but these pre-arb players make real dollars, real dollars that can’t be spend elsewhere. The pre-arb players are the key to the luxury tax plan. They’re providing lots of value at little cost. 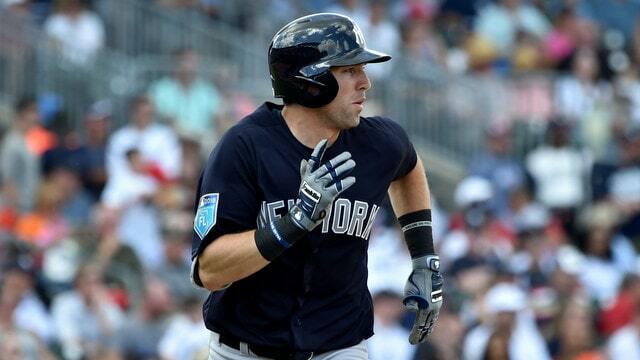 The Yankees have added outfielder Jake Cave and right-hander Nick Rumbelow to the 40-man roster, the team announced earlier today. Both players were due to become minor league free agents this offseason. The Yankees now have two open spots on the 40-man roster. This is the second time Cave has been on a 40-man roster. The Reds grabbed him in the 2015 Rule 5 Draft, gave him a look in Spring Training 2016, then returned him to the Yankees. 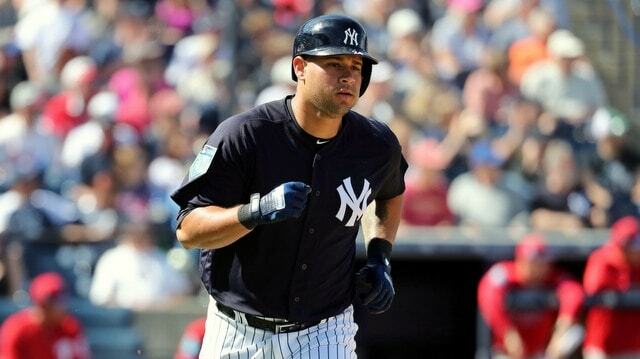 He replaces Mason Williams as the up-and-down spare center fielder next season. This also gives the Yankees a chance to see whether Cave’s breakout this year is for real. 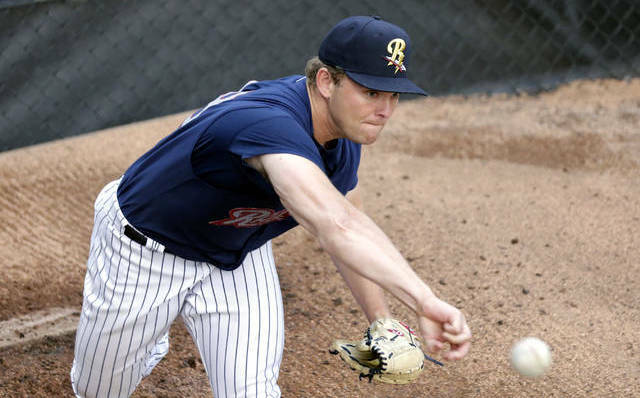 The 26-year-old Rumbelow has some big league time under his belt, allowing eight runs (seven earned) in 15.2 innings with the Yankees in 2015. He blew out his elbow in his very first appearance of the 2016 season and needed Tommy John surgery. Rumbelow returned with his new elbow ligament this summer and posted a stellar 1.12 ERA (1.89 FIP) with 29.4% strikeouts and 7.2% walks in 40.1 innings between Double-A and Triple-A. It was reported a few weeks ago Cave would be added to the 40-man roster, though the Rumbelow decision is a bit of a surprise, at least to me. The Yankees must’ve really liked what they saw in his 40.1 innings back from Tommy John surgery this year. The deadline to add players to the 40-man roster to protect them from the Rule 5 Draft is coming up. The Yankees have a large class of eligibles and will have to open some spots between now and then.